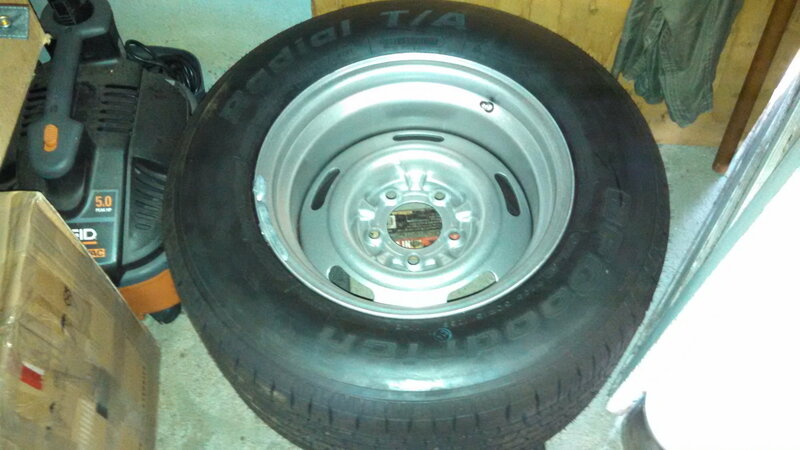 Two 15x10, 5" back space, Ralleys from Summit Racing mounted and balanced with BF Goodrich Radial TAs, 295/50/15 for sale. Chrome valve stems. They are brand new, never been on the car or road except one of them I tried to place on the rear wheel for test fitting. To make it fit I would have had to remove the rear anti-sway bar. My car has the VBP Performance Plus suspension with offset trailing arms so internal clearance is not a problem. VBP recommends removing the rear sway bar with wider tires. The tire will stick out a bit past the fender. At the time I bought these I was planning to run stock ralleys w the TAs. I'n now running 17x8s. These will look great for someone who wants the old school fat rear tire look. If you don't have your rear fender wells flared these will stick out past the stock fenders. 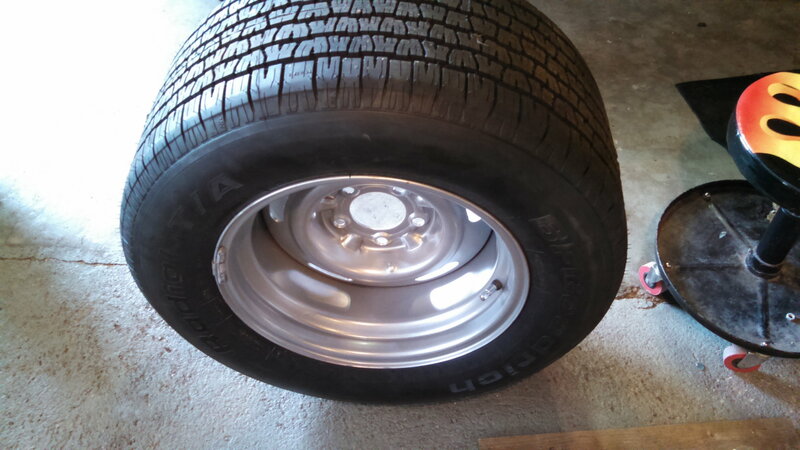 The wheels cost $199.98 for the pair from Summit and the tires were $200 each from Discount Tire Direct. $400 for the pair plus shipping - firm. I will be posting a set of 15x8 ralleys w two 245/60/15 and two 255/60/15 Radial TAs mounted and balanced soon.